HMF Intensive from Genestra contains up to 30 billion probiotic colonies (CFUs) in an all-natural, vegan and vegetarian-friendly capsule. May aid in digestive functions, immune system strength, and some aspects of cognitive health. Purchasing this product today earns you 46 DR Reward Points! Scientific research continues to unveil the importance of probiotics in healthy digestion, immune system function, and even mental health! 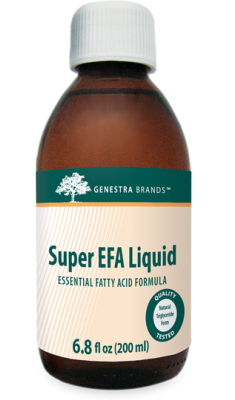 As such, it is important to find a quality probiotic supplement which only uses the best of ingredients and is safe and effective for use in men, women, and children. HMF Intensive from Genestra contains up to 30 billion probiotic colonies (CFUs) in an all-natural, vegan and vegetarian-friendly capsule. Features a higher intensity dose of several different probiotic strains when compared to competing probiotic supplements. Designed to support healthy bacteria cultures in the gut and elsewhere throughout the body. 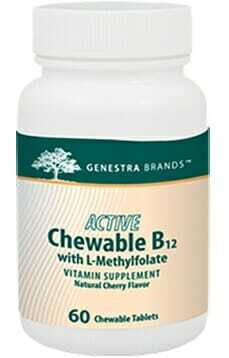 May aid in digestive functions, immune system strength, and some aspects of cognitive health. Vegan and vegetarian-friendly capsule is made from all-natural, quality ingredients. No preservatives, additives, artificial colors, sweeteners, or flavors. ‘Probiotic’ is a term applied to any strain of bacteria which plays a positive role in the human body. These probiotics are primarily found in the gut where they are used for support of numerous digestive processes. This includes everything from aiding in the digestion and absorption of nutrients from food, to the excretory process. Without an adequate supply of probiotic cultures in the digestive tract, one might be at risk of developing a leaky gut. This means that, without a healthy probiotic flora to protect it, the intestinal lining may thin and tear, leaving the body more vulnerable to the spread of inflammation.1 Probiotic supplementation is a great way to avoid the development of a leaky gut. However, not all probiotic bacterial strains are made as equals, and the same goes for probiotic supplements. 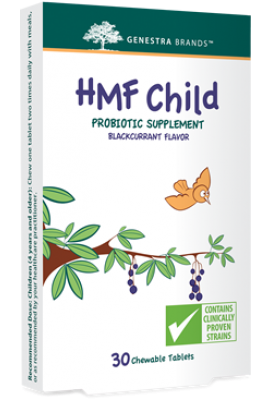 HMF Intensive contains a potent and highly bioavailable dose of the highest quality natural probiotics available for support of digestive health in a vegan and vegetarian friendly, ultra-absorbent capsule formulation. This makes it the probiotic supplement of choice for men, women, and children alike! 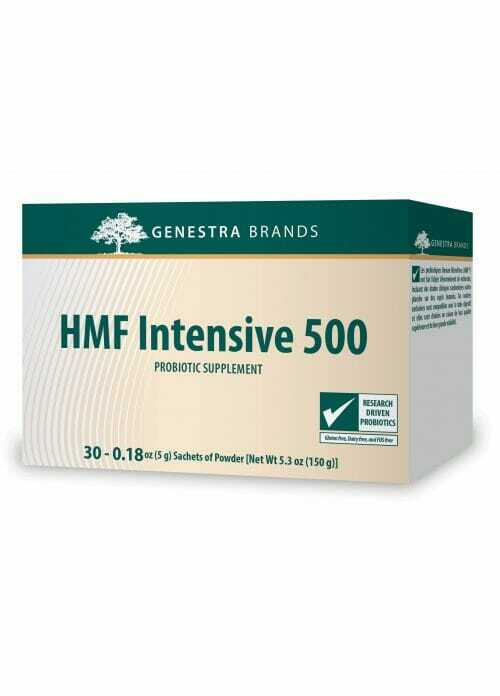 HMF Intensive includes three main varieties of probiotic strains. These are Bifidobacterium bifidum, Bifidobacterium Animalis Subsp. Lactis, and Lactobacillus Acidophilus. Now we’ll examine the various functions and benefits of these helpful bacteria. For Adults and Children (6 years and older): Take one capsule daily with meals or as recommended by your healthcare practitioner. Note: Store in the refrigerator. Caution: Do not use if you have an immune-compromised condition.